This month’s prize for dangerous moves and disingenuous press releases goes to the US State Department for its October 18 notice, headlined “On the Merging of US Embassy Jerusalem and US Consulate General Jerusalem”. 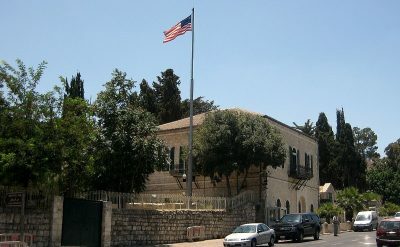 The release was a statement by Secretary of State Michael Pompeo announcing that the US consulate in East Jerusalem was being closed and its functions were being transferred to the US embassy in Jerusalem — that was the dangerous part. The disingenuous part was the secretary’s claim that this move had no political meaning since it was merely a cost-saving measure. “I am pleased to announce that following the May 14 opening of the US embassy in Jerusalem, we plan to achieve significant efficiencies and increase our effectiveness by merging US Embassy Jerusalem and US Consulate General Jerusalem into a single diplomatic mission. I have asked our ambassador to Israel, David Friedman, to guide the merger.